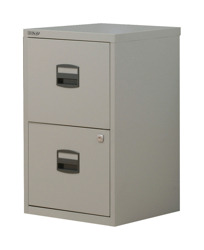 &Bisley Filing Cabinet 4Dwr G/Grey Bs4E Pack of 1 Flush Front cabinet with ultra smooth drawer action and full extension for access to the whole drawer and contents. 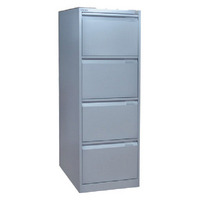 Fitted with an anti-tilt device and superior locking ensuring safety and security. Goose Grey. Non returnable. Fellowes Prof Series Mesh BackSupport Pack of 1 Fellowes Professional Series Mesh Back Support. Provides additional spinal support to maintain natural back curvature. Mesh fabric allows air flow. With vertical adjustable memory foam lumber support. Easily attaches to any chair.